Mark Anderson has been named Spokane's third poet laureate, following the tenures of Thom Caraway and Laura Read. 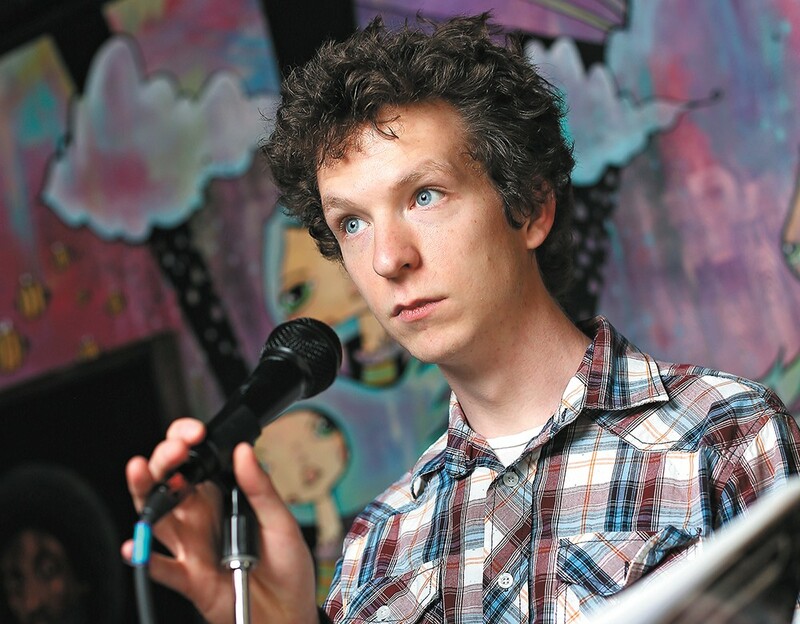 A frequently active local poet and the founder of the weekly poetry open mic event Broken Mic, Anderson sat down with the Inlander in the days following the announcement of his new position to talk about the local poetry scene. INLANDER: What do you hope to accomplish during your tenure as poet laureate? I want to create a better framework for poets to grow in our community. I want to create more outreach opportunities so more people can find out about [local poetry]. I also want to create more performance opportunities. I don't see why it's a wild dream that everyone in Spokane knows that poetry is a cool thing to do here. Everyone in Spokane knows to run Bloomsday, and I don't think poetry's any more weird than running seven miles. During your hosting stints, is there a single moment that sticks out as particularly memorable? Any time someone comes up to the microphone and is reading for the first time, and is just terrified and thinking everyone's gonna hate it. They're shaking, and you can see the paper almost taking flight. And then the audience is warm and welcoming them to the stage. Something changes, and they realize they can do this. It's like they're having that feeling of being heard by an entire room. If you could put just one poem in a time capsule, which one would you pick? I'm going to narrow myself down to just Spokane poets of the last 10 years. I'm going to say Kurt Olson's "Lemon Pepper Chicken." ... The metaphor of the poem is that he's making lemon pepper chicken for a girl he likes, and he's seeing in the chicken things that remind him of being there for his mom when she was dying of cancer, and thinking about her and how she taught him how to cook. So much raw emotion and sincerity comes through in that poem. Why did you automatically limit yourself to just Spokane poets?